Urbans Aqua stocks ion exchange resins for quick shipment. UA stocks cation, anion and mixed bed resin for commercial dealers who operate DI regeneration plants. We stock Purolite, Thermax & Jacobi components and mixed bed resins. Standard mixed bed resin is a combination of cation (H+) and anion (OH-). Water treated with mixed bed resin removes most of the cations and anions and results in various levels of purity. Standard mixed bed resin has 2 components – It consists of Strong Acid Cation (8% Crosslink) in the Hydrogen (H+) form and Type 1 Strong Base Anion in the Hydroxide (OH-) form. The manufacturer processes and rinses mixed bed to various levels of purity prior to shipment. Once installed mixed bed resin is ready for immediate service. Care should be taken to prevent separation during installation and shipment to prevent lower throughput. Mixed bed resin is used to produce deionized or demineralized water. 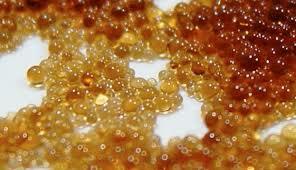 Use of mixed bed resins for residential applications is uncommon. Depending on its level a purity, deionized water is aggressive and potentially strips metals from fixtures, appliances and pipes. Despite its level of purity, drinking deionized water is not recommended. Visit our PDF Library for technical specifications and product manuals on mixed bed resins. Visit our SDS Library for safety data sheets on mixed bed resins. In demineralizer or deionizer applications, the hydrogen (H) form cation and hydroxide (OH) form anion resins are referred to as separate beds, and when combined, as mixed bed. The cation resin can be regenerated using sulfuric or hydrochloric (muriatic) acid. The anion resin is regenerated with membrane grade caustic. Resin volumes change as it exhausts. Anion volume may be reduced by 12-15%; cation by 4-6%. When purchasing resin for PEDI or SDI regeneration plants we advise buying the cation in the regenerated hydrogen form. For SDI (portable exchange tank) applications, we recommend using resin components which vary in color. UPS stands for Uniform Particle Size. The bead size of the resin doesn’t vary widely. UPC resins are recommended for SDI. Separation of mixed bed resin will be more clearly defined. Mixed Bed is typically supplied as 50-50 chemical equivalence. However, the ratio of cation to anion can be changed depending on the chemistry of the water or the customer’s process. The capacity of the cation resin is greater than the anion. Furthermore, the cation regeneration process is far more effective than the anion regeneration process. For this reason, many PEDI/SDI companies will provide their customers with appropriately sized vessels. Typically, a larger anion tank where there are separate beds or a mixed bed with a 1:1.5 ratio of cation to anion resin. Urbans Aqua stocks Thermax MB-115 BG. Depending on water analysis and conditions different types of cation and anions are applied. Combination of multiple vessels beginning with cation and ending with mixed bed. Service DeIonization – delivery of regenerated DI bottles or tanks of various sizes to end-users requiring pure water for production or boiler feed. These locations lack fully functioning (no regeneration) deionizing or softening systems and typically pay rent and regeneration fees when the spent or exhausted tanks are replaced. Sale is typically on a contractual basis. Commonly placed after RO systems, mixed bed resin removes or reduces unwanted ions thus polishing the water to a higher level of purity.